The catalyst for publishing Open My Eyes – Wonders of Torh came from the myriads of people who, in these last days, are denying the deity of Yeshua and his sonship to the Father. I wanted to create a Bible study of the first five books of the Bible or Torah that revealed Yeshua throughout its written words, its language and its shadows. When Yeshua became flesh and walked on earth, he only had the Hebrew Scriptures – the Torah, the Prophets and the Writings – for teaching about repentance and the Kingdom of God. The Torah contains the history and foundations of a Biblical faith in the God of Abraham, Isaac and Jacob, the God of Isra’el. Since the Torah is the most obvious place to begin learning about the Creator, His Kingdom, His family, His chosen nation, His plan of redemption through Yeshua and His restoration of Isra’el, many followers of the Jewish Messiah use the weekly Torah portions to delve deeper into Yeshua and his teachings, the Scriptures that testify to him, his ministry and his Father’s plan of redemption. 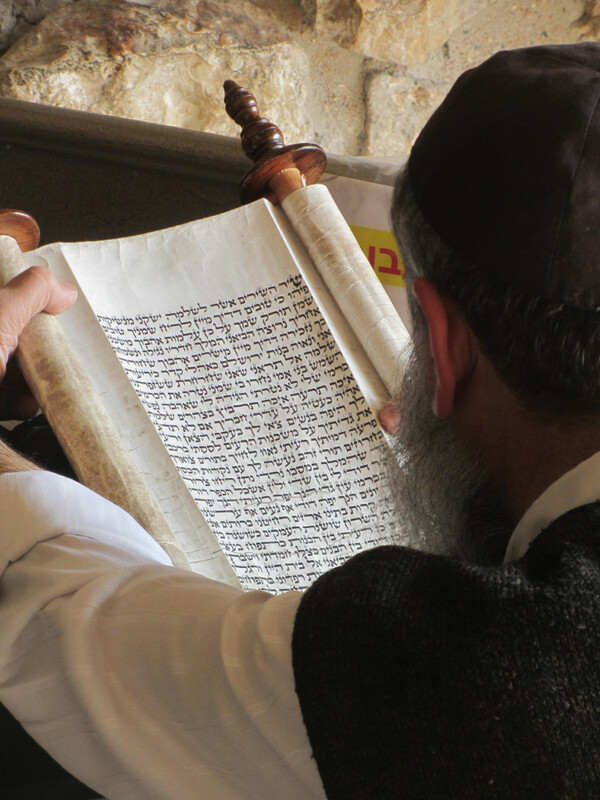 Each Torah commentary includes a section with the words or actions of Yeshua that correlate to the parashah and show his faithfulness to his Father’s instructions and prove his divinity as the Son of God. Some of the commentaries come from questions my family asked, searched out and may even still have. Other commentary comes from rabbis and sages from the centuries until today. At the end of each parashah (portion), traditional readings from the prophets as well as the new testament are listed along with a springboard for a discussion or midrash. Because Biblical names and words have unique meanings different from English, Hebrew Word Pictures are included to illuminate those nuances. Selah, meaning ‘pause and think about this,’ are also found throughout the text. ©2018 Tentstake Ministries Publishing for more resources on Amazon. “It was the first day of the seventh month” (Nehemiah 8:2). After our family began celebrating the ‘appointed times’ found in the Leviticus 23, days, times and seasonal cycles stood out on the pages of the Scriptures. This specific verse in Nehemiah is no different. It sets the time for the events to follow as the ‘first day of the seventh month’ or Yom Teruah, the Feast of Trumpets. This ‘appointed time’ of God begins His season of the fall feasts which are about repentance, atonement and a vision of the coming Millennial Kingdom. The events in Nehemiah 8 are not some random occurrences in the history of Israel. They are a testimony to the restoration of the Feasts of Elohim to a people who had lived in exile for over 160 years. Though there was a first wave of Jewish return to Jerusalem 70 years after being taken captive, Ezra and Nehemiah were in the second wave 90 years later. It was during this time that the priests gathered the people together on the ‘first day of the seventh month’. A wooden platform was made on which Ezra, the priest, stood and could be seen and heard by all of the men and women who came to listen to the reading of the Torah. As he opened the Torah scroll, everyone stood. Then Ezra blessed Yahweh, the great God. As the people answered with “Amen”, they lifted up their hands, bowed their heads and fell prostrate before Elohim with their faces to the ground. The Levites had the responsibility to explain Torah to the people. After being in a foreign country for several generations, they needed to translate the Hebrew so that the ‘Persian’ Jews would understand the words being read. When they heard the instructions that God gave them through Moshe, the people began to weep. Repentance or ‘turning back to God’ or teshuvah is central to the fall ‘appointed times.’ After hearing the words of Torah for the first time standing in Jerusalem, the people wept. They grieved. They understood they had lost the very essence of their national heritage from the LORD and had not lived accordingly. Ezra, along with the rest of the Levites, told them not to weep, not to be sad for this day was ‘set apart to Elohim their God.’ It was an ‘appointed time’ of the LORD. They were told to go out, eat rich food, drink sweet drinks and give portions to those who couldn’t provide for themselves. Even today sweet foods are eaten on Feast of Trumpets with apples and honey being the traditional foods. “How sweet to my tongue is your promise, truly sweeter than honey in my mouth!” (Psalm 119:103). Yeshua said in Matthew 4:4 “Man does not live on bread alone, but on every Word that comes from the mouth of God.” What does the mouth or ‘voice of God’ sound like? When John was exiled on the island of Patmos, he has a revelation of Messiah. He says, “I came to be, in the Spirit, on the Day of the LORD; and I heard behind me a loud voice, like a shofar ….” The voice of the LORD sounded like the blowing of a shofar. 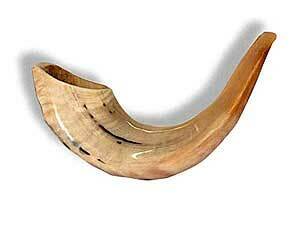 A shofar, or the horn from a ram, is blown on the Feast of Trumpets. Obviously, it is only when breath goes through the shofar that it is able to create a sound. Being vessels of Elohim’s Spirit, it is taught that the ‘breath of God’ or Ruach HaKodesh blows through a shofar when it sounds. The original city of Jerusalem had very different boundaries than modern-day Jerusalem. In fact, remnants of the city are found in what is known as the City of David. Within the ‘older’ city of Jerusalem, the Water Gate led down to the Gihon Spring which was located in the Kidron Valley. This spring was the main source of water for the Pool of Siloam. 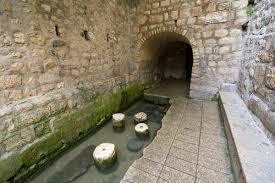 The priests would go to the Pool of Siloam to collect the water for each day’s water libation ceremony. During this event, they would pour water over the altar in the Temple during the Feast of Tabernacles. On the last and greatest day of this feast, Yeshua stood and cried out, “If anyone is thirsty, let him keep coming to me and drinking! Whoever puts his trust in me, as the Scripture says, rivers of living water will flow from his inmost being!” (John 7:37-39). As the people gathered at the Water Gate, it is symbolic of the pathway to the living water of the Word of God. With the reading of the Torah by Ezra, the Jewish people had been ‘washed in the water of the Word’ and began preparing themselves as a pure and holy bride (Ephesians 5:25-26). On the second day, the heads of the clans of the people joined the Levites and Ezra to study the words of the Torah again. They found that Elohim had ordered through Moshe that the people of Isra’el were to live in booths or sukkot during the ‘appointed time’ in the seventh month known as the Feast of Tabernacles. They were to announce the festival of Sukkot in all of their cities and in Jerusalem. “Go out to the mountains, and collect branches of olives, wild olives, myrtles, palms, and other leafy trees to make sukkot, as prescribed” (Nehemiah 8:15). 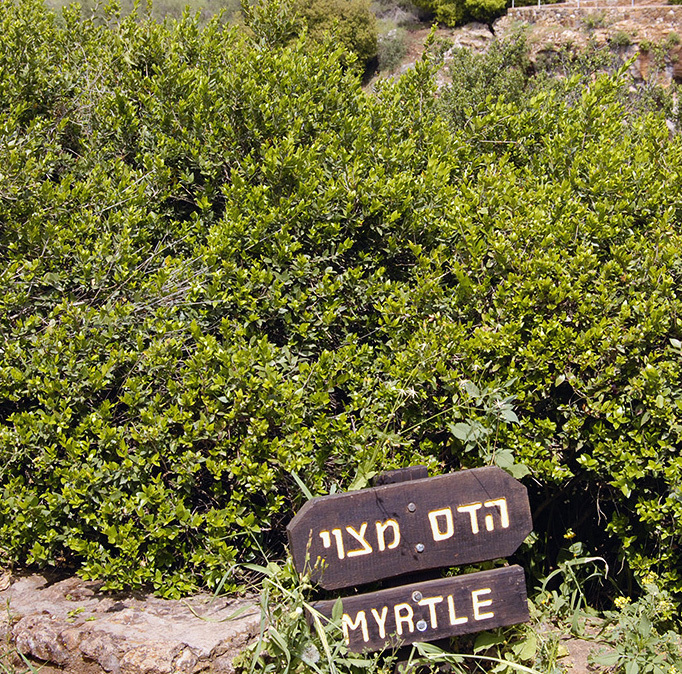 In Jeremiah 11:16, God calls Isra’el an olive tree. 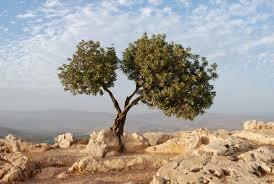 In Romans 11, Sha’ul speaks about branches of olives and wild olives that make up the Olive Tree of Isra’el. The natural branches represent the 12 Tribes of Israel and the wild branches the nations that join with them. Both receive the same living water of the Word through the same spiritual root. Though both branches will continue to produce either natural olives or wild olives, they both produce olives. “A time is coming and has now come when the true worshipers will worship the Father in the Spirit and in truth, for they are the kind of worshipers the Father seeks. God is spirit, and his worshipers must worship in the Spirit and in truth” (John 4:23-24). The prophet Zechariah lived during the time between the first and second returning remnants. He has a vision of God, angels and horsemen standing in the midst of a myrtle tree. This vision was given to reinforce God’s promise that the exiles who returned to Jerusalem would be prosperous. For the Jewish people of Zechariah’s time to prosper, they would need to repent and serve the God of Abraham, Isaac, and Jacob, rebuild the Temple and learn Torah. In the time of Nehemiah 8 and Yom Teruah, the repentance had begun. “Therefore this is what the Lord says: ‘I will return to Jerusalem with mercy, and there my house will be rebuilt. And the measuring line will be stretched out over Jerusalem,’ declares the LORD Almighty” (Zechariah 1:16). Palms, or lulav in Hebrew, were also part of the branches collected to make a sukkah. It is known for its uprightness, fruit and its beauty. The Jewish sages say that the palm tree, which has taste but no smell, can be compared to a person who studies Torah, but has no fruit of good works. The first mention of palm trees in Scripture is when the Israelites camp at the oasis of Elim during their trek in the wilderness. It is during the Feast of Tabernacles that palm branches are waved signifying the coming Messianic kingdom. 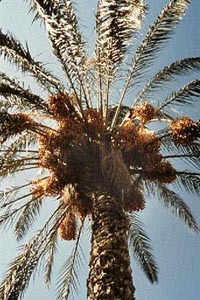 This is why palm branches were waved when Yeshua entered Jerusalem during the Passover season. The people believed that the kingdom of God hadarrived; however, it was the wrong ‘appointed time’ and season. In Revelation 7:9, multitudes from every tribe and nation will be waving palm branches and giving glory to the King of Kings. 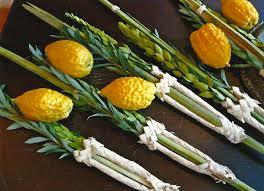 Today, the lulav is a special binding of three species of branches along with an etrog (a type of citrus fruit). It is used to worship the LORD during Sukkot and reminds everyone that one day the nations of the world will gather in Jerusalem to celebrate the Feast of Tabernacles (Zechariah 14:16). The Feast of Trumpets begins on the first day of the seventh month and Sukkot begins on the fourteenth day. On our Gregorian calendar, these fall festivals occur in our months of September/October. They are a vision of the coming Kingdom of God when Isra’el, the natural branches of the Olive Tree will gather in Jerusalem along with the nations, the wild branches of the Olive Tree, to worship the King of Kings. Everyone will wave olive, palm and myrtle branches for they will not just study Torah, they will bear the righteous fruit of the etrog.